Video: Bell Built video for the Prescott Park Flow Trail in Medford, Ore.
Video: Bell Built video for the Stafford Lake Bike Park in Novato, Calif.
Video: Bell Built video for the Soquel Demo Flow Trail in Santa Cruz, Calif.
Video: Bell Built video for the Fort Tuthill Bike Park in Flagstaff, Ariz.
Voting for the Bell Built trail building grant program kicks off this week with each of the West Coast division finalists squaring off in a video throw-down to see who gets their share of the $100,000 the helmet maker has earmarked for the projects. Polls will remain open for the West Coast finalists from today through April 20, with the winner being announced on April 21. 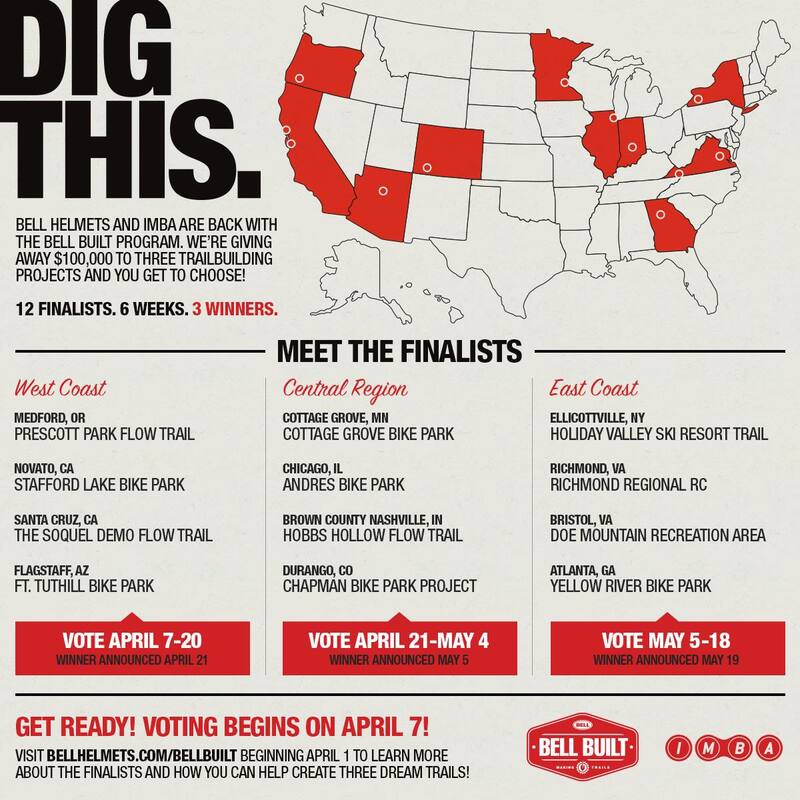 The four West Coast finalist projects are the Prescott Park Flow Trail in Medford, Ore.; the Stafford Lake Bike Park in Novato, Calif.; the Soquel Demo Flow Trail in Santa Cruz, Calif.; and the Fort Tuthill Bike Park in Flagstaff, Ariz.
All week Mtbr will feature West Coast finalist videos. Please check them out, then visit the Bell Built page to vote for your favorite project. Out of more than 100 entries, Bell in partnership with the International Mountain Bicycling Association (IMBA) selected four projects in each of three regions—West Coast, Central and East Coast—as finalists for the program. 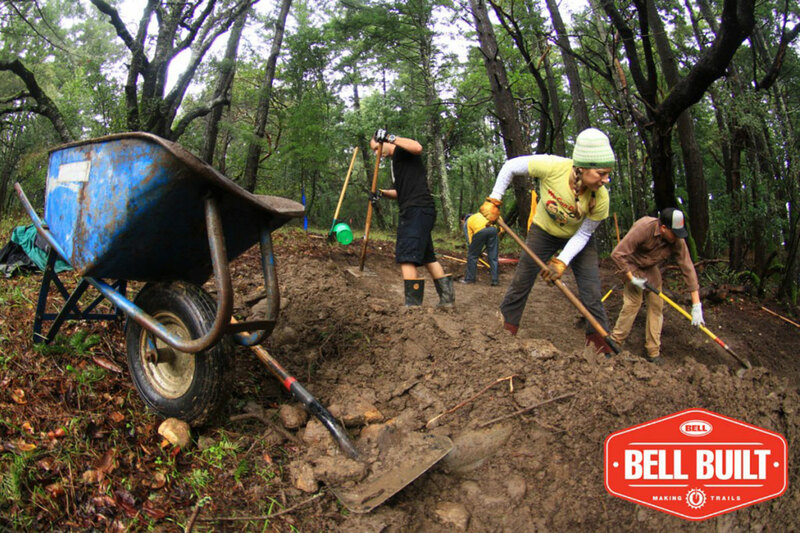 One winner in each region will be selected to get a portion of the $100,000 in technical assistance money put up by Bell for three bike projects to be built in 2014 by IMBA Trail Solutions. After the West Coast region winner is selected, voting will switch to Central region voting from April 21-May 4, then finally to the East Coast from May 5-18. The project that receives the most votes from each of the three areas above will win one of the three Bell Built grants. Any combination of trail types—pump track/bike park, flow trail, DH/gravity trail—may receive the grants.